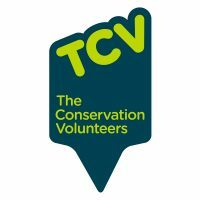 The Conservation Volunteers are seeking enthusiastic and energetic individuals to apply for the role of Volunteer Officer at Hollybush Conservation Centre in Leeds. Are you enthusiastic about conservation, improving the environment, gaining new practical skills and working with people? Do you want to gain the skills for employment in the environment sector? A 6-12 month placement as a Volunteer Officer with Hollybush is for you. We understand what employers in the sector look for. Our in-house training package is geared towards those requirements. Individual development plan and regular progress reviews with your mentor. Formal training includes Safeguarding, First Aid, Leadership and Risk Assessment. Gain experience in administration, including event management, publicity and budgets. Learn to deliver practical sessions to groups of volunteers with diverse needs. Enthusiasm and passion for the environment and conservation. Willingness to work with a wide variety of people. A full UK/EU driving license held for at least two years is desirable.